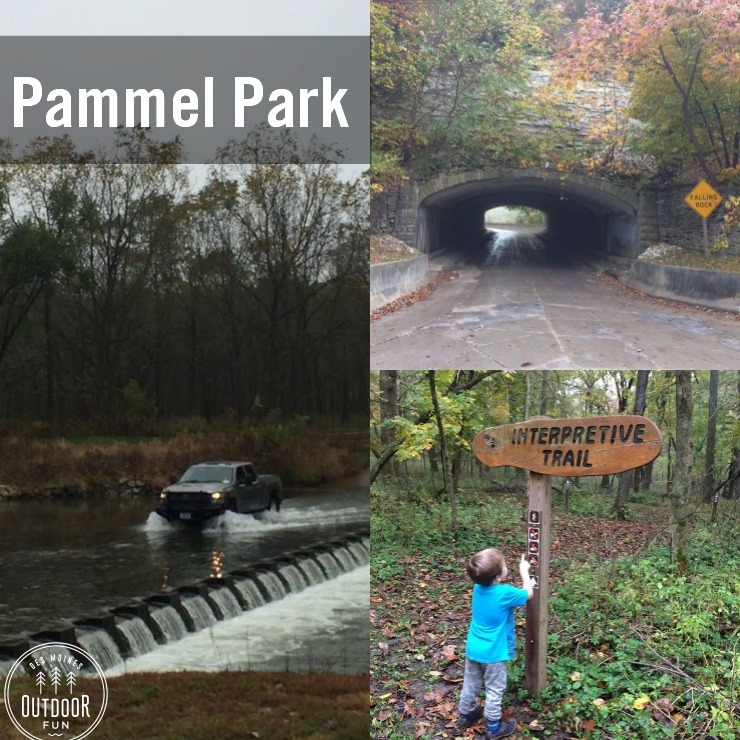 I’ve been meaning to go check out Pammel Park this entire summer, and we finally made it! This is a Madison County park, down in Winterset. It has two very unique features, shown in the collage above, a tunnel to drive through and a ford to drive over. 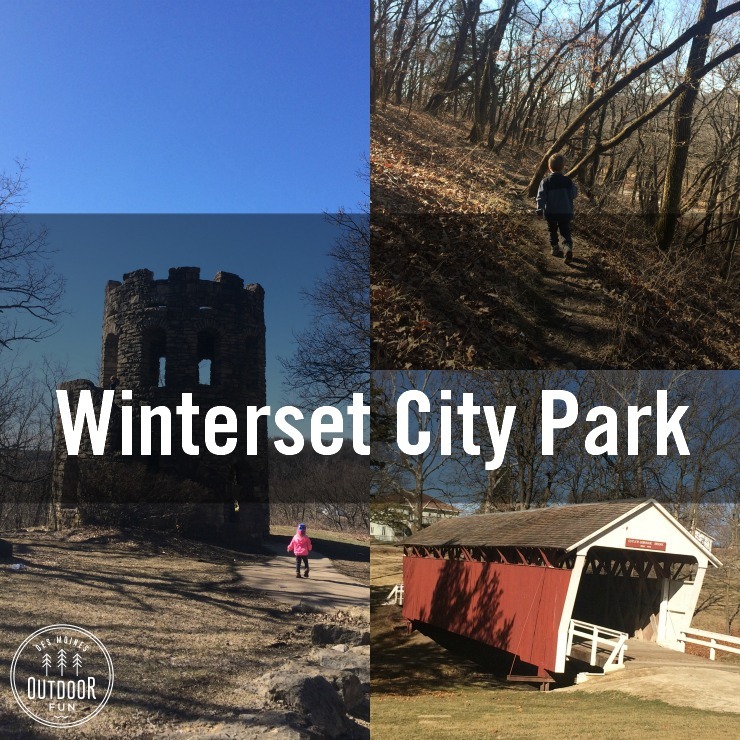 There are several trail options, all with dirt footing and heavily wooded. We had a lovely morning and will definitely be visiting again! You can see more specific details on the Pammel Park page or check out its location on the interactive map. 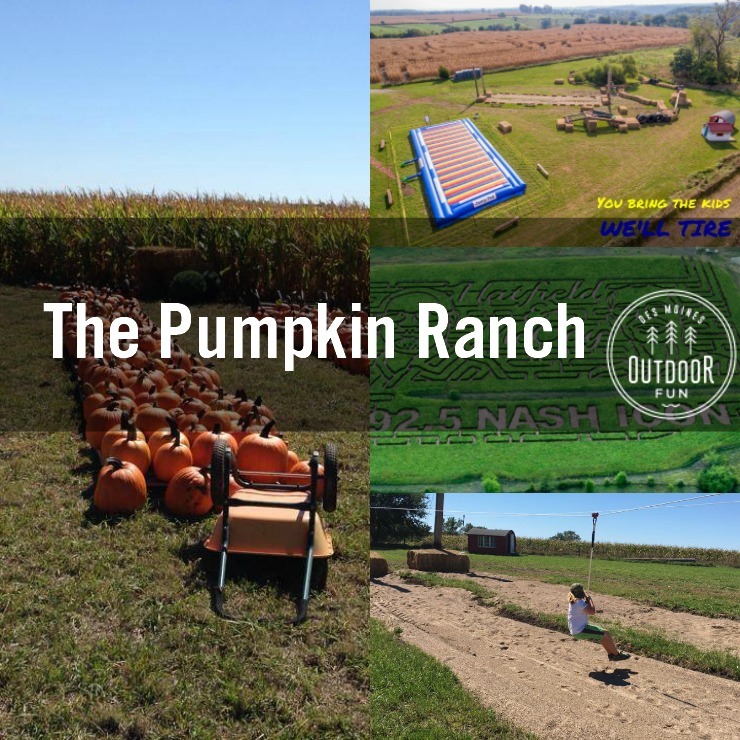 The Pumpkin Ranch has a one admission price and lots of activities, with a special toddler-only play area in addition to many of the usual pumpkin patch suspects (corn maze, jumping pillow, hayrack ride). Special dates have face painting and free horse rides, and there are different food vendors depending on the dates. Memory Lane Park is a small neighborhood park. Whistle Stop Park is a small park, with playground equipment and a basketball court.